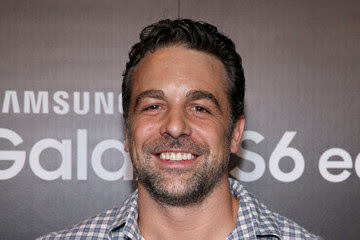 Our hearts were broken when Chris McKenna's popular character Detective Harding was written out of CBS soap opera The Young and the Restless last year. But now, The Bold and the Beautiful has saved the day and cast Mckenna in a new role. The actor tweeted the news from outside CBS Studios on Wednesday morning on his way to The Bold and the Beautiful. "First day of work on a new gig," Mckenna wrote. "I could swear I've been here before. #YR #BB @BandB_CBS #AcrossTheHall"
Who the actor will play on B&B has not yet been revealed, but Daytime Confidential is reporting that McKenna's character will romance a Logan sister. Is he for Brooke, Donna, or Katie? Stay tuned! Soap Opera Digest is reporting that the popular actor will first air March 3.